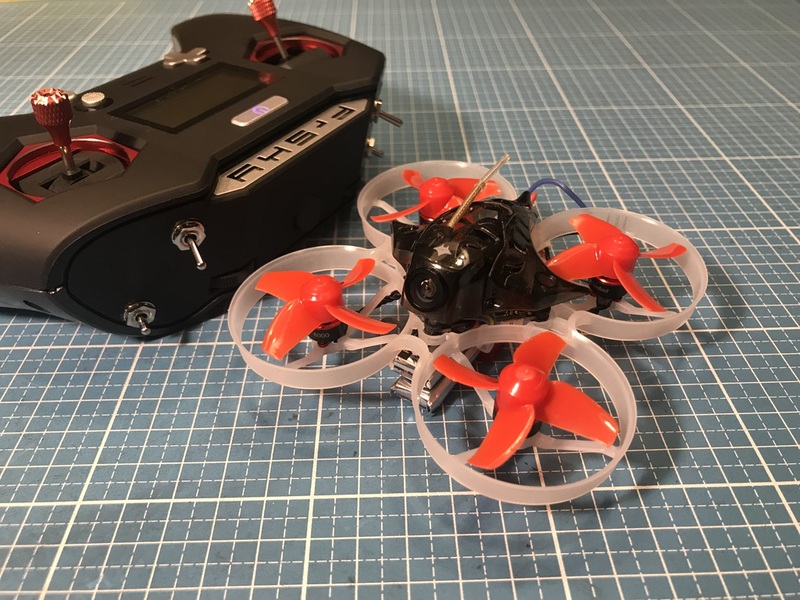 This ist the Diatone GT-R349, the high speed 3 inch FPV Racer. The canopy is made of a transparent plastic, not very durable. There are two replacement canopys. 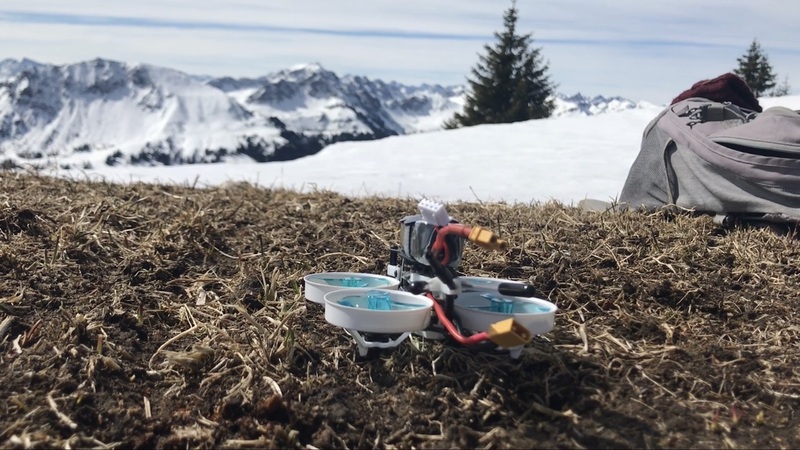 Last weekend I tested the iFlight CineBee 75HD at 1800 meters on the mountains. A very nice, tiny Cinematic Whoop. The Caddx Turtle V2 camera even has the new Glass lens on it. The freestyle frame is great. Especially the 2inch version fit on even the 2.5 inch Gemfan 2540 propellers. Flies good with the battery on top with the Runcam Split mini 2. 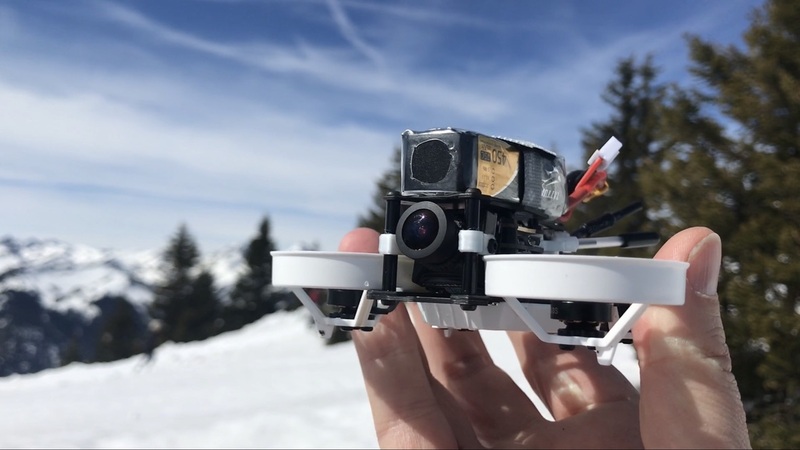 If you want better FPV video add a Runcam Racer 2 Camera as second camera on the top in a 3D printed case. This is my best HD mini quad, better as Beta85X or another micro drones. The site with the 2.5inch propeller is the best solution for maximum power with the 1106 motors and 3S-4S Lipo 650-850mah. I tested the X220HV - It flies very well. The motors are grandiose. 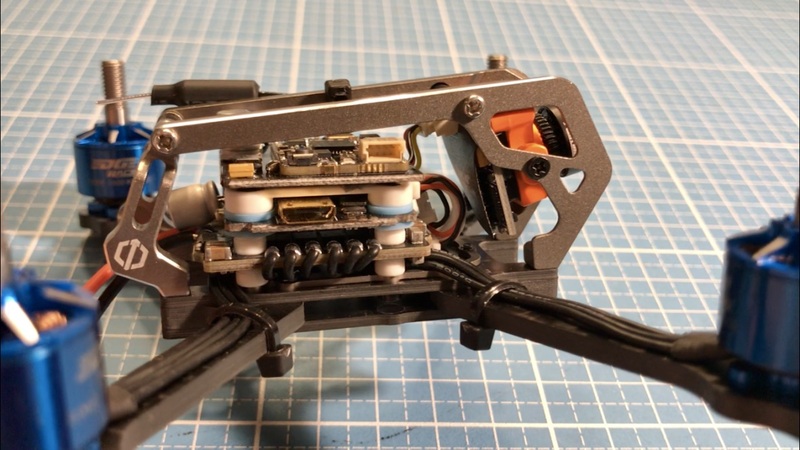 The FPV video is very clear, if you mount the XT60 cable on the left side and disable the Speedybee Bluetooth module. Some reviewer say the ESC 4in1 board have connection issue with the FC board because the pins are too short. Please remove the Gift PDB from the order to activate the coupon. Diatone 2019 GT-R239 R90 or GT-R249 2.5 Inch - beginner or advanced pilot? 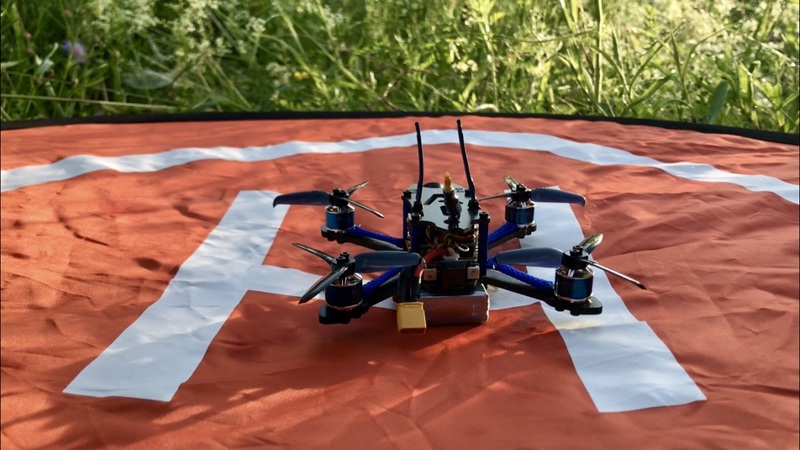 The new Diatone GT-R239 is the new R90 2 inch FPV racing drone from Diatone. It have a plastic frame that is flexible and therefore durable. Both drones have the new Cobra 5500KV motors that works good with 3S on a 2 inch and very good with 4S on a 2.5 inch frame. The F4 flight controller is very stable and the Runcam Micro Swift camera get with the VTX a very good video picture. Ok, ok, now you did not have the TBS Unify Pro VTX with 25-800mW and now you get only the Runcam VTX with 25-200mW but the drone cost only $99 That's good price for a prefecte 2 inch FPV racind drone. Now, I thing you have the big question as a beginner FPV pilot. Witch is better 2 or 2.5 inch drone. And, yes the 2.5 inch is better for flying. 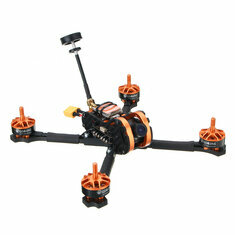 But the Diatone GT-R249 2.5 Inch have thin arms and if you have a crash the you destroy the arms after the first flight. 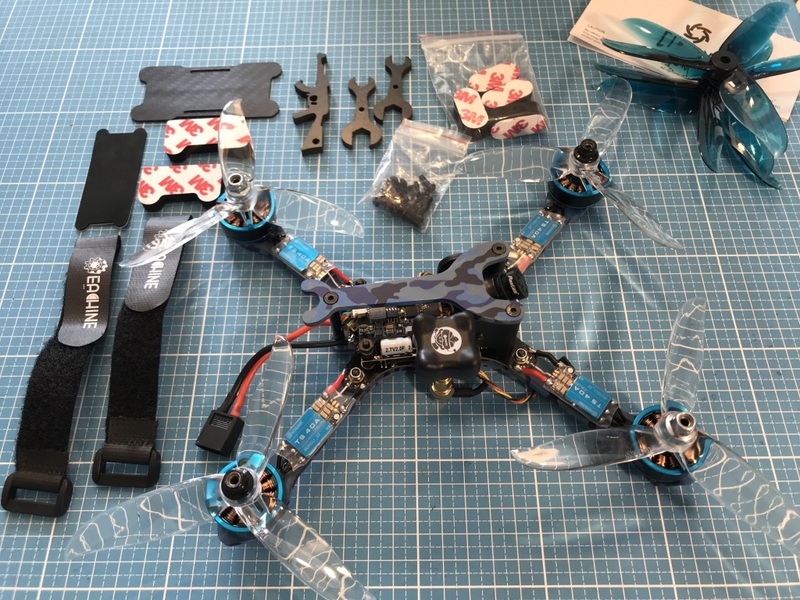 So my recommendation is take the 2 inches drone and later if you can fly, then you can transfer all components to a 2.5 inch frame. My opnion is the Diatone 2018 2.5 inch frame better, durable and you can put on top a mini HD camera like the Firefly mini HD camera or the new Quelima SQ20 Mini HD Camera. Cool the long range version. The X-Lite is the new version with two more screws at bottom. With the bundle you get the R9 Lite long range module with the standard elastic antenna. Better you get the FrSky Super 8 antenna for the module for better range. The very small R9 MINI receiver have only a non inverted output for telemetry. If you have a F3 or F4 flight controller then it is better to get the newer FrSky R9 MM receiver. The new R9 MM receiver looks the same as the old version R9 MINI but the new have a non-inverted telemetry output tu connect to a free TX port on your FC. For more better range you can use the new FrSky Dipole T Antenna on your 4-6 inch FPV racer drone. 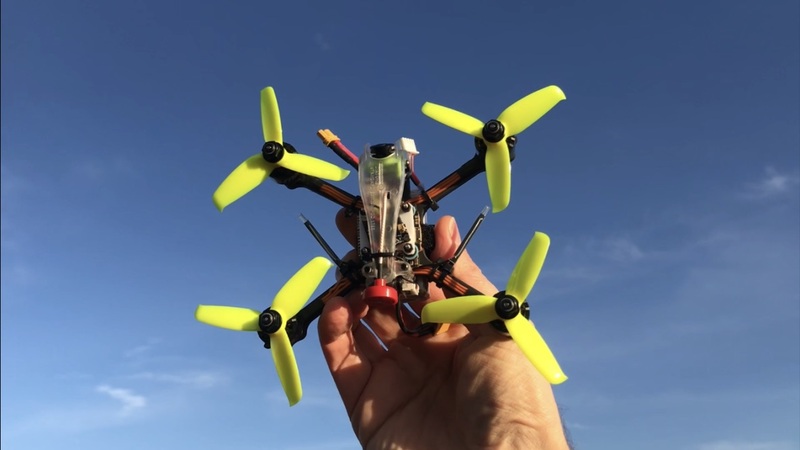 Wow a symbioses from Beta75X and Mobula7 with a better FPV camera the Caddx EOS2. Only 33g without batteries. 4x 300mAh 40C 1S HV batteries are included. This is the Happymodel Mobula7 that is a Tiny Whoop drone with 1S and 2S Lipo power. M7 is light, very fast and flies over 4 minutes. I just can not find any negative points on the Whoop. 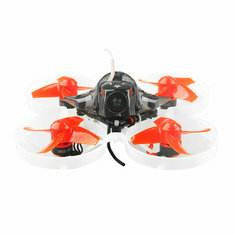 The Snapper7 1S Whoop was good, but M7 is much faster, more aggressive and weighs no more than the Snapper7. And if someone needs slow flying, he can fly the Mobula7 with a 1S Lipo. The changeable angle of the camera is practical. 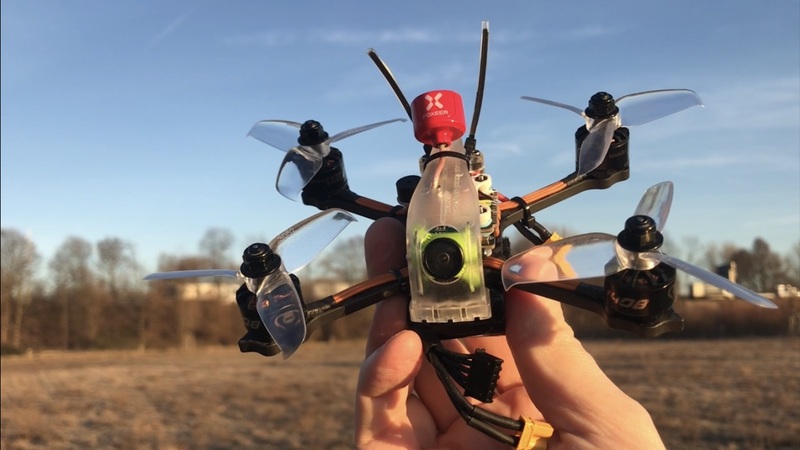 Outside you fly fast and need a steep angle of the FPV camera. Inside with slow flies one places camera completely flat. Inside, the FPV camera is sufficient. Outside, I would like a better FPV camera like the Caddx Turbo EOS2. This is the Eachine Wizard TS130 that is a 3 inch drone with big motors and support 3S and 4S. Wizard TS130 is flying very well with 3S and have many speed with my Tattu Lipo R-Line 850mAh 95C 4S. The CCD Foxeer camera is very good. 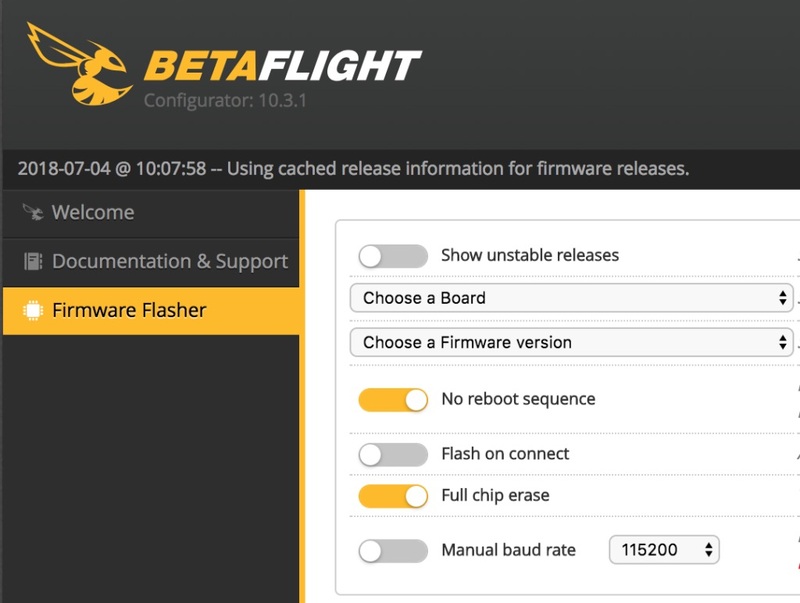 Please update the Omnibus F4 to the latest Betaflight firmware for better performance with 4S LiPo. 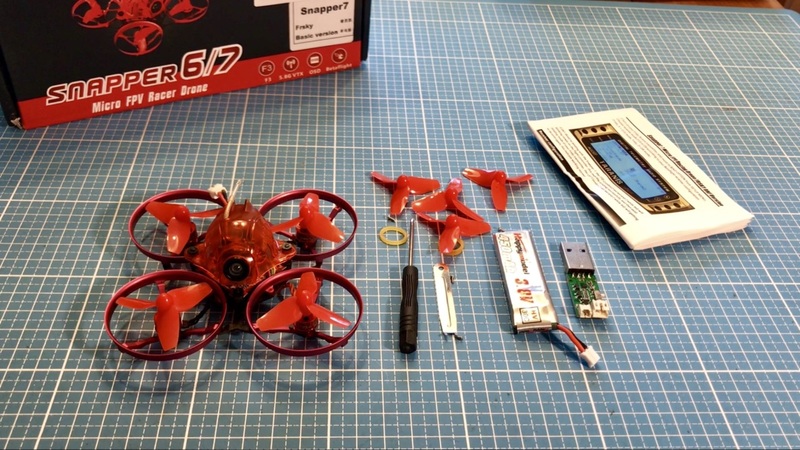 This is the Eachine Tyro99 kit that costs under $99. There are many small parts, but easy to assemble. After about 6 hours of work, the Tyro99 is ready to fly and weighs about 330 grams. Tyro99 is flying very well, but the CMOS camera could be better. Warlark Pro 85 is some time old, but you can get it on offer for about 80 € with a Frsky, Flysky or DSMX receiver. 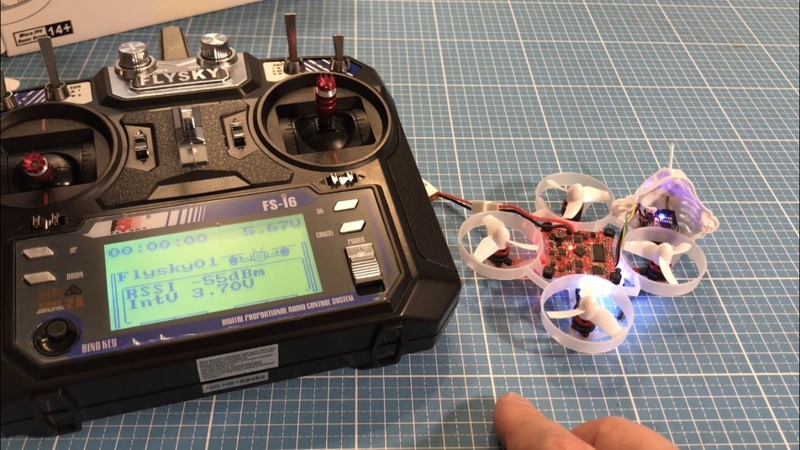 The Tiny Whoop is with 2S Lipo what makes it so interesting. With 2S power it's much faster and more aggressive when flying than a 1S Tina Whoop. 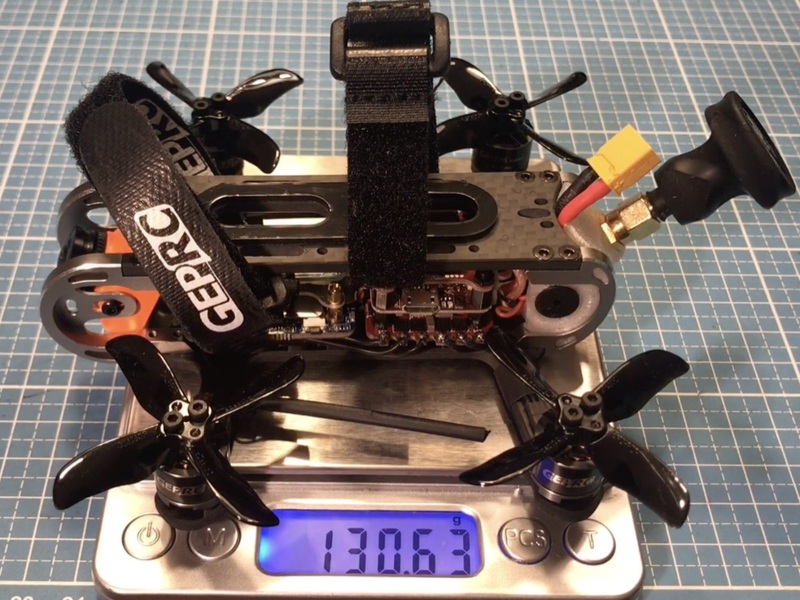 Ok, the weight of 50g is of course more than a micro Tiny Whoop with 20g. 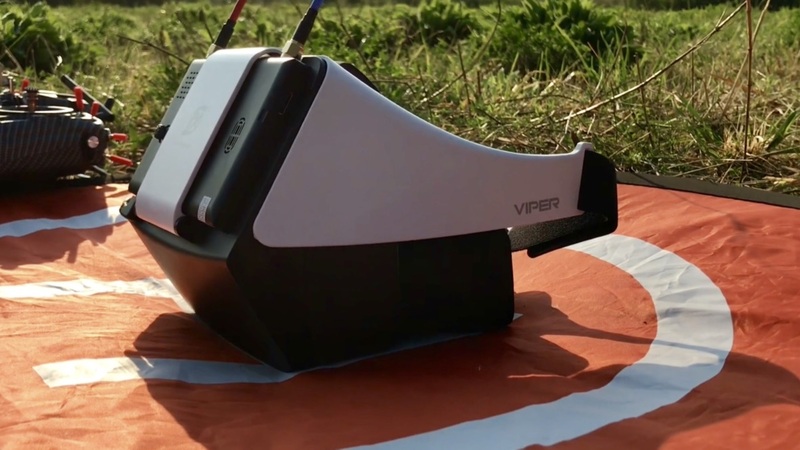 This is the FXT Viper FPV Video goggles which is perfect for wearers of glasses. At the front is the LCD 5 inch monitor and at the back is a silicone cover which is removable. 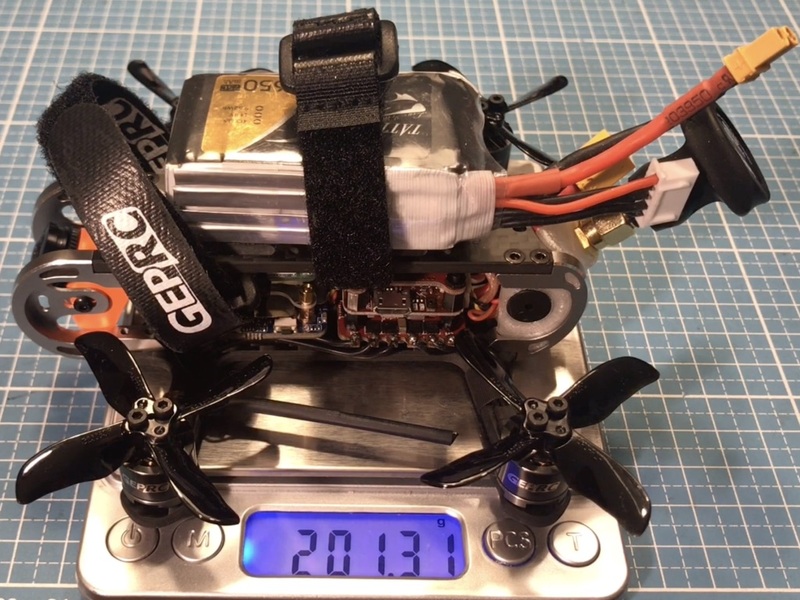 Only one LiPo battery is needed and you're ready to go. Incidentally, the good LCD monitor can be used without the goggles. In the goggles are two mirrors that bring the picture over a longer distance to the eyes. Thus, the goggles are quite compact and yet I can see the picture sharp with my licked eyes without reading glasses. Included are two simple linear antennas and an adapter with XT60 connector for connecting a 2 to 5S Lipo. Now a have the Diatone 2018 GT-R90 version 2 with the new F4 8K, TBS on top. 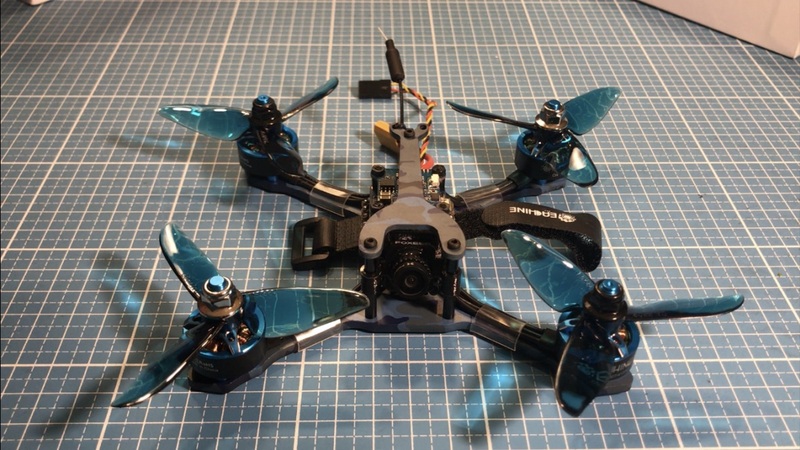 The GT-R90 in version 2 is light and best 2 inch FPV racer drone. It is lighter as the new version GT-M205. Now with clear video and ESC's borad with current sensor on top. A buzzer is included, new proppeller 1940 from Gemfan. All is with betaflight 3.3.0 pre configured for 3S LiPo. 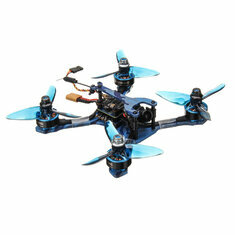 For better performance I'm using the DALProp Cyclone Q2035C propeller with 2 inch size. The included buzzer have a board that i have cut up . Now fit the buzzer on top with the receiver antenna fixed with a cable ties. The TBS VTX get very good video quality with the included capacitor on rear. The VTX is very hot so please fly and remove the battery if you landed. Now i have the Realacc RX5808 PRO PLUS OSD 5.8G 48CH FPV Receiver with the Achilles Open Source firmware for my Fatshark Dominator HD3 Goggles. A very good diverity module with best firmware, that I see. The Achilles firmware is ease to use and now with OSD on the goggles. The RX5808 have the Achilles firmware version 1.8. Thedisplay is bigger as the display from the Pro58 and with integrated OSD on the goggles display's. The new RX5808 PRO PLUS OSD have the same faster STM32 F1 CPU that is working in Eachine Pro58. The old RX5808 PRO PLUS Module have still the slow rate MWC CPU. My version is without the cover, but I have a 3D printer. This is the Happymodel Snapper7 the slightly larger Tiny Whoop with aluminum propeller protection and especially with brushless motors and 1S LiPo. My quadcopter has a FrSky receiver integrated on the F3 flight controller with telemetry!. The Whoop is available with Flysky or FrSky receiver which transmits all telemetry data to the spark. In the Flysky version, RSSI and the voltage are sent to the remote control. The canopy is made of hard, transparent plastic. The Happymodel motor is a small 0703 motor with 19000KV perfect for the 75mm frame. Optionally there is a plastic frame to make the Tiny Whoop even lighter. Now Banggood shipping the Diatone GT-M3 in version 2. 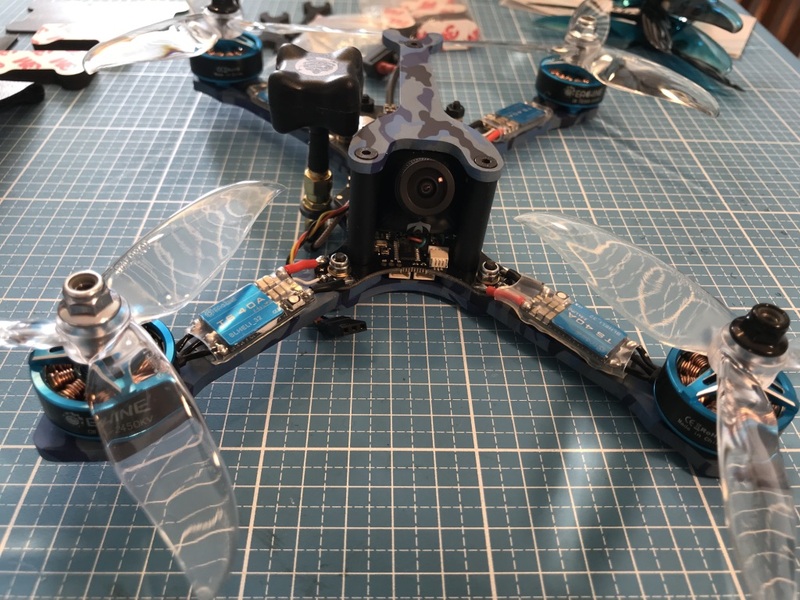 With the better F4 FC, TBS VTX is mounted upper with good LC filter and a capacitor on the rear for better FPV video. The amper sensor is now on the new 4in1 ESC's board, not more on the XT30 power connector. It flies very well with many speed. A buzzer is included, that you have to install. The Diatone GT-M3 racer flies very well. He is very fast just the perfect 3 inch FPV Racer. The FPV image is super with no interference and can be configured via the remote control on the OSD display. Finally a good FPV Racer where nothing needs to be rebuilt. The UR65 is thee best 1S brushless Tiny Whoop. The Snapper6 was to heavy. UR65 is lighter and flies longer over 3:30 minutes. This is the Aurora RC Mini Fight 110 Racer. 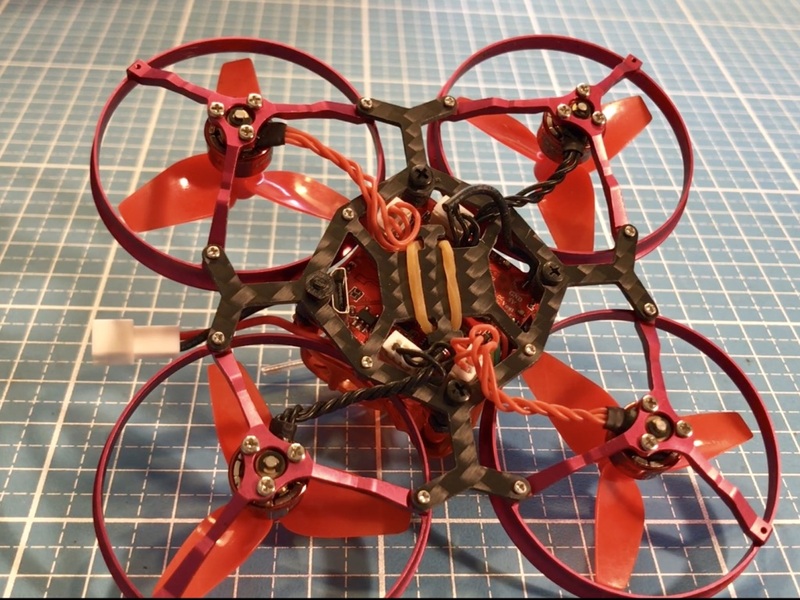 The 2.5 inch racer is light and flies fast with a 3S Lipo and the 5500KV brushless motors. Good CCD camera ensures a good FPV image. Built-in is a lens with 2.1mm with the 25-200mW video transmitter delivers good pictures. 28A DSHOT600 ESC's board is built in to supply the strong 1106 motors from SunnySky with enough power. Aurora RC Mini is one of the best 2.5 inch FPV racers. 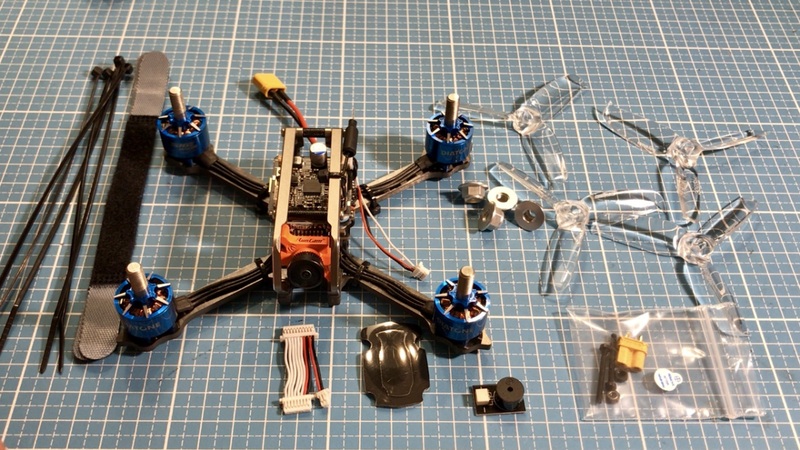 Just configure, bind and fly FPV. The Eachine manufacturer has listened to the customer's criticism and has optimized the current Wizard TS215. Thus, the video signal is now clean thanks to better DVR module additionally has two thick, white capacitors, which are responsible for power loss that the video is saved to the end. A better CCD camera built in, the Runcam Swift 2 with 2.3mm lens which provides a better picture. The new DVR module no longer bothers with FPV flies and records the video in PAL with 720 × 576 pixels clean. Of course, not HD ready but a better picture than on a FPV glasses. The good DALPROP Cyclone T5046C propellers are with spare propellers. The video transmitter has a transmitting power of 25-800mW and is adjusted via the BF OSD using the transmitter. 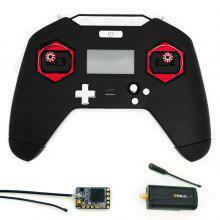 Faster F4 flight controller is built in and well protected against vibration. The TS2306 2450KV brushless motors flies good performance. The 40A strong ESC's are 32 bits each with a bright LED and support DSHOT1200. The arms are 4mm thick. 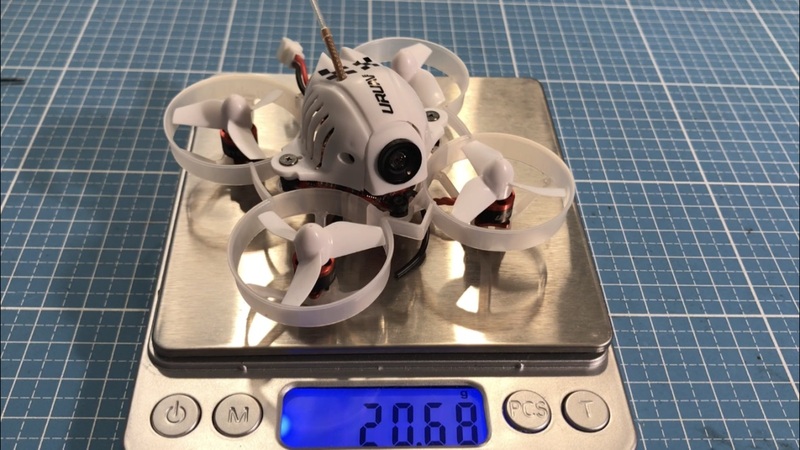 TS215 weighs 330 grams which is ok with the heavy motors. Supplied with two battery velcro straps, battery protection plate with feet, spare screws, cable ties.